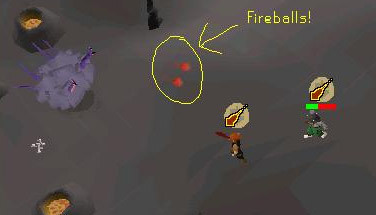 Curious about the new Chaos Elementals in the Wilderness? They can be a tricky kind of monster to fight, but this guide will help you prepare and kill them. 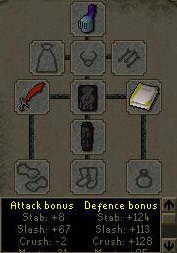 As soon as the monster respawns, turn on your Protection From Magic Prayer. Now drink a super set if you wish and start fighting. Start off using your dds, and poison it. Then switch to your halberd. Move 2 steps back, and hit the elemental with your special. This is because you hit it twice with 1 hit, instead of hitting it once. Use a prayer potion if your prayer gets below 10 points and eat if you need to. 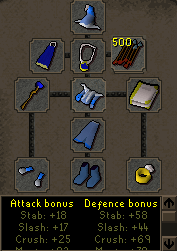 I would recommend eating at 60 HP. Once you kill the monster, pick up the loot and bank if needed. 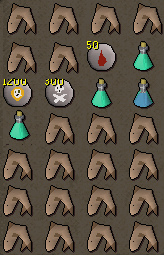 When the monster respawns, use your Protection From Magic Prayer, and use your range potion if you wish. Now move away from him, and start ranging. Use your special, if you can. 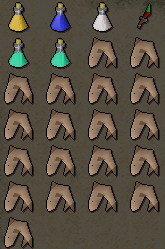 Use your prayer pot if your prayer reaches 10 points or lower and eat when you need to (60 HP preferred). Once it is dead, pick up the drops and your arrows, and bank if needed. Ancient Staff (if using Ancient Magicks), a fire or air staff (if using fire wave), or a God Staff (if using god spell - not recommended, as you can't auto set). 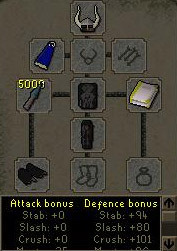 As soon as the monster respawns, turn on Protection From Magic Prayer. Use your mage potion if you wish and start maging. Eat if you need to and use your prayer potion when needed. Stand at least 2 spaces away so it can't melee you. This will prevent you receiving high damage. 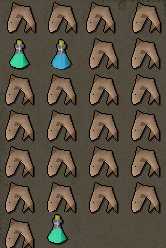 Once you finish it, pick up the drops and bank if needed. This monster is level 305, so it's no joke. If you're going to be killing it, then read the rest of this guide and bring what you think is appropriate. This monster looks like a cloud with tentacles popping out of it and is located east of the Rogues' Castle and southwest of Scorpion Pits. Also, it takes a long time to respawn. It's approximately 4 -5 minutes. In this time, your special will recover too. This monster has six types of attacks. In this attack, it throws two fire balls in each direction, so almost everyone around it takes damage. Since this is a magic attack, it will hit. This attack can do high damage and is a magic attack. Looks like a green fire Ball and there are two of them. A multi-colored ball comes out of it with about five different colors. It does a high amount of damage if you don't have protection from magic on. It tackles you and deals a high amount of damage. Usually, it's low (150) but sometimes it can hit as high as 280. The Chaos Elemental is very unique to other monsters. It casts a spell on you that is non-blockable and happens about every 5-10 hits or so. The teleportation moves you 6-10 spaces away and unequips one of your currently-equipped items. During the time away, make sure to re-equip your stuff. This is also a good time to drink some potions and eat to recover. 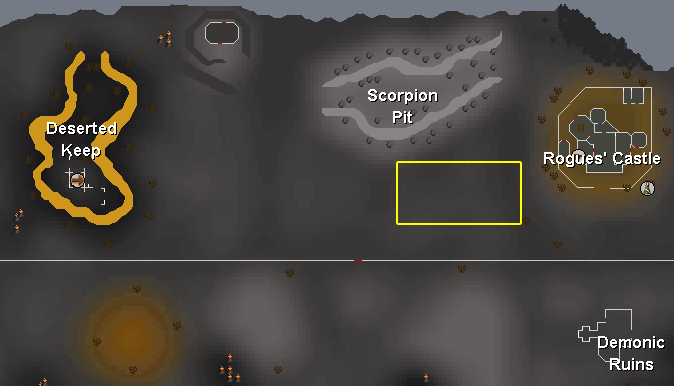 As you can see, there are two main places to fight the Chaos Elementals in the wilderness. The eastern-most location (closest to the Rogues' Castle) commonly has Revenants around, while the western-most location is mostly empty. Route 1: Follow this route to the Mage Arena bank. Route 3: Since there are a lot of revenants in the deep wild and any one can kill you. You need to watch out. If a revenant, or worse, a few attack you, run to the rouges castle and go around the fence. This will result in Revenants getting stuck on the other side of fence. Run to the back corner of the castle away from the revenants or just run until they stop attacking you. Log out and hop worlds. In the new world, cautiously walk out and repeat this method if there are still more revenants. Once you find a clear world, run towards your preferred bank. Alternatively, you can run to the obelisk in the southeast until you're at level 20 wilderness and then teleport. Tip: Make sure auto retaliate is off and you're eating when you need to as revenants can hit from 2 screens away.